The ten-minute Pitbull performance at the opening ceremony will create a Pakistan Super League record. 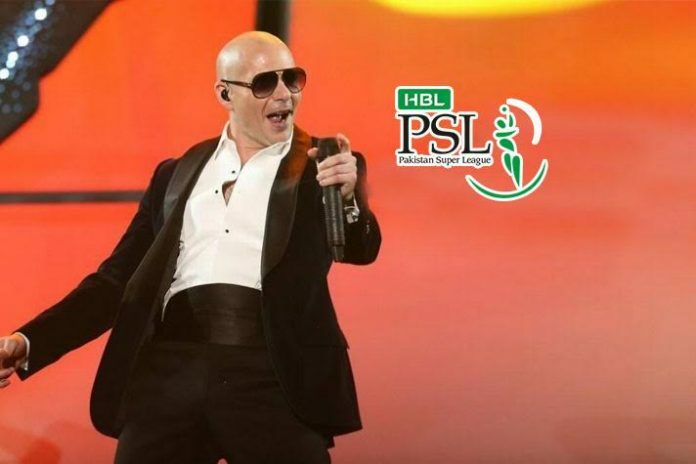 American rapper Pitbull is confirmed to be the ‘show-stopper’ at the Pakistan Super League 2019 grand opening ceremony in the Dubai International Stadium on February 14. The ten-minute performance will add a new leaf to the commercial chapter of the PSL history. For his ten minutes on the stage, Pitbull will walk away with the single largest pay cheque in the history of the Pakistan Super League. His fee to perform at the event is tipped to be an approximate 10 crore Pakistani rupee – $ 700,000. A senior Pakistani sports journalist has shared the information on his twitter handle. The amount Pitbull will get is over 350% more than the highest 2019 salary contracts of any of the PSL player. The Platinum category players in the draft – the likes of Shahid Afridi, Babar Azam, Kamran Akmal, Steve Smith, Dwayne Bravo, Sunil Narine – have salary contracts between Pakistani rupee 2 crore to 2.80 crore ($ 140,000 to 200,000). Pitbull will be getting more than three times the highest paid players’ salary. The trolls on twitter indicate even the diehard Pitbull fans are not happy about the Pakistan Cricket Board spending the fortune on the US rapper’s performance. There are suggestion to the extent that the same funds would have been better utilised for redevelopment of the domestic cricket in Pakistan, or supporting the national hockey team which had to face the ignominy of being ejected from the Pro Hockey League due to fund crunch. A host of people also suggested that it would have been better to have the Pakistan artistes performing the event. Aima Baig and Shuja Haider will also be a part of the opening ceremony to give a desi touch to the ceremony. Cricket lovers also feared that a Pitbull might draw a full house for the opening ceremony, but what is the point if “the stadiums are empty during the games”.